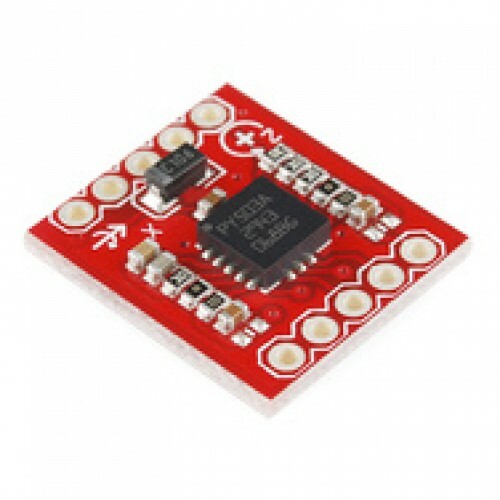 This is a breakout board for the ST's dual-axis LPY503AL gyro. The LPY503AL measures angular velocity along the pitch and yaw axes with a full scale of ±30°/s. Two different analog outputs are provided for both the x- and z- axes - one 1x amplified and the other 4x amplified.